Following invention from Displax will help you to turn your old non-touchscreen lcd, monitor or simply any flat surface into a touchscreen display. 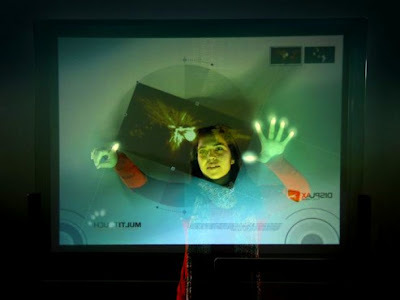 Although for the time being it is not a multitouch surface, it could now detect up to 16 fingers on a 50-inch screen offering up to 98 percent transparency rate. The real ‘multitouch skin‘ will be ready for shipment starting July this year. 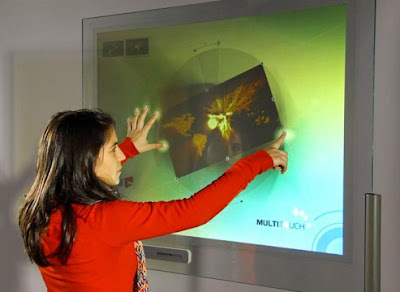 The team over Displax is working on the ‘multi-touch-skin‘ surface that will be capable to be stuck on plastic, wood or glass surfaces and turn the surface into a touchscreen display. And this one is definitely to speed up the production of cloning for the Microsoft Coffee Table, as Displax has come up with several dimensions starting from 3-inches to 120-inches diagonally. No info on pricing and availability yet, but this one must be something to stay for future to come and it will change the world of conventional screen into touchscreen mode.